While you have the opportunity to upload your own personal profile photo when you create your fundraising page, you can always change this photo anytime you wish. Step 1: Ensure your photo is in an approximate square shape. For the best look, upload a photo that's about 400px x 400px. 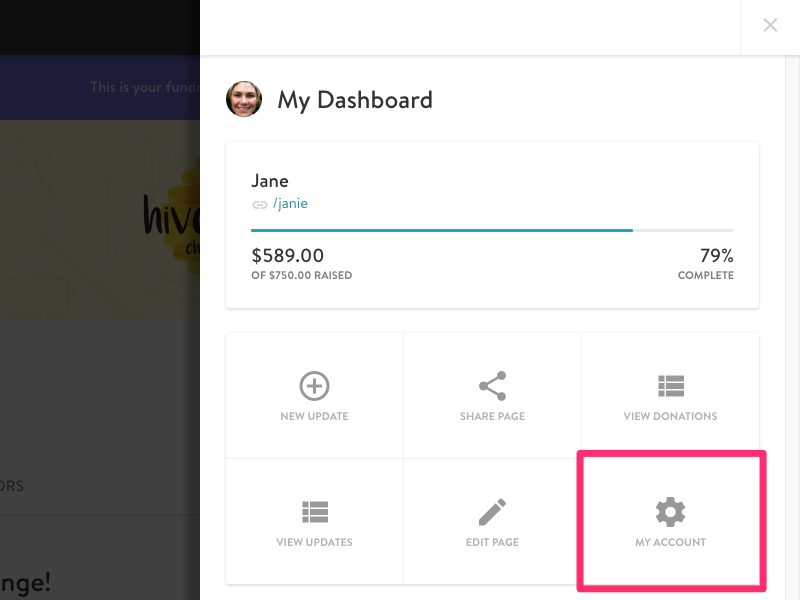 Step 2: Login to your fundraising page from your campaign site. Step 3: Once you're logged in, select "My Account" from the menu. Step 4: At the top of the menu, select "Profile." Step 5: Upload new fundraiser profile photo. 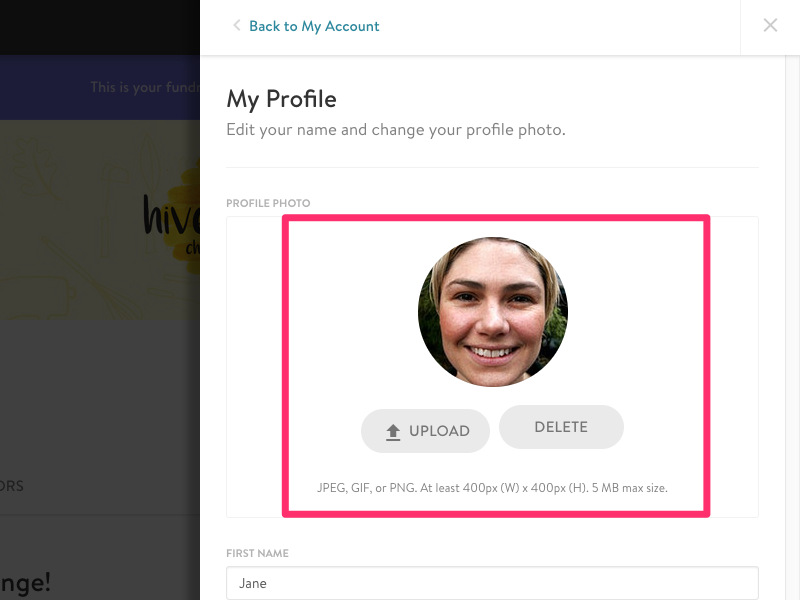 Only personal fundraisers are able to upload their profile photo. 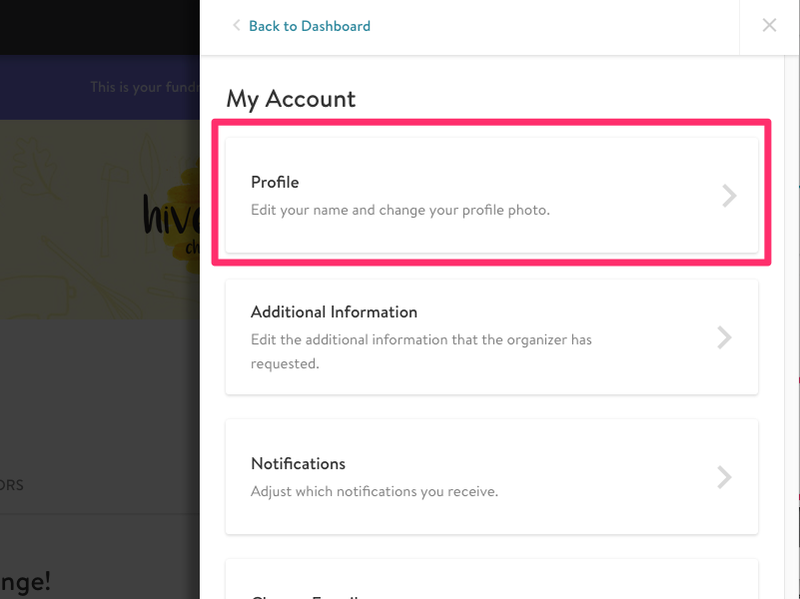 Admins are not able to change a fundraiser's name, photo, or email address from the admin backend.